Brit School alumna Adele’s debut, 19, was a whirlwind success which topped the chart in her homeland and achieved the relatively rare feat of breaking the British singer in the US. As one of a string of UK soul singers who benefitted from ‘post-Winehouse’ success towards the end of the last decade, Adele notched up several hits including Hometown Glory, Chasing Pavements and Cold Shoulder. Thanks to massive exposure on this year’s X Factor (UK), her cover of Dylan’s Make You Feel My Love appears to have taken up residency in the UK singles chart and is approaching sales of half a million copies. The majority of the production on 21 is by Red Hot Chili Peppers collaborator Rick Rubin and Florence and the Machine producer Paul Epworth. The album succeeds in pushing beyond her debut, beefing up Adele’s sound and enabling her to stretch her wings, vocally. This is a stronger album than 19, and it should enable her to side-step the sophomore slump which plagues so many fledgling artists. 21 borrows heavily from blues, soul and country music. These are influences which would overwhelm a lesser singer, but Adele takes on these genres with gusto and some mean vocal-chops. You could argue that her performances are inauthentic due to her age and background, but on hearing the music, it’s difficult to argue against her near-perfect delivery. The versatility and maturity of her voice defies her young age, and her tone varies from weathered and cracked to crystal clear. The instrumentation frames her powerful voice instead of trying to compete with it, and rightfully so. 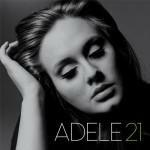 The album opens with the earthy current single Rolling In The Deep which showcases Adele’s confident, bluesy holler. This leads into a brace of potential singles including the Ryan Tedder penned Rumor Has It, fragile ballad Turning Tables and the heartbroken, country twang of Don’t You Remember – a song which adds strength to the argument that country is the white man’s blues music. Future single Set Fire To The Rain is probably the catchiest song here. It has a sweeping chorus which recalls elements of Phil Spector in his heyday. Her languorous, lounge cover of Lovesong by The Cure borrows its concept from Nouvelle Vague, and brings a welcome dose of quirkiness to an album which takes itself very seriously. The set closes with Someone Like You which has an aching beauty and the hallmarks of a modern standard. It sounds poised to soundtrack atmospheric TV trailers over the coming months. There is nothing particularly ground-breaking or innovative on offer here, but not all music needs to reinvent the wheel. Sometimes, keeping the wheel turning with classic-sounding songs is sufficient. Adele and her team have crafted an album that’s both full of songs that have the potential to reach the upper reaches of the charts, and also a collection of songs that hang together as an album. As modern soul and break-up albums go, this one leaves many others in its wake. Adele is sure to emerge from 2011 stronger and more assured than ever. 21 is the coming of age record that its title suggests.